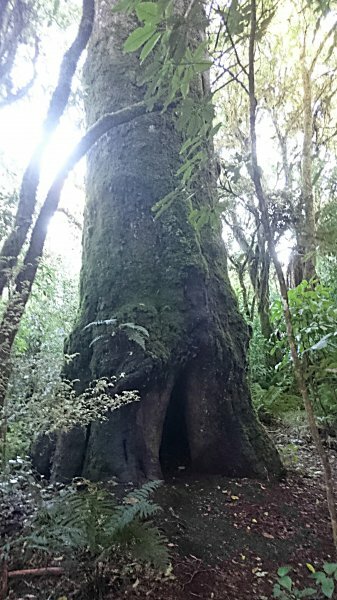 One of two large matai on the northern loop track at Ohepe Bush Historic and Scenic Reserve. 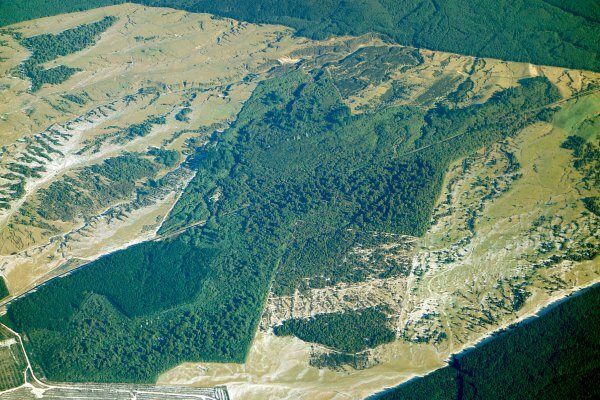 See BPR/1325 for the other matai and detail on the reserve. 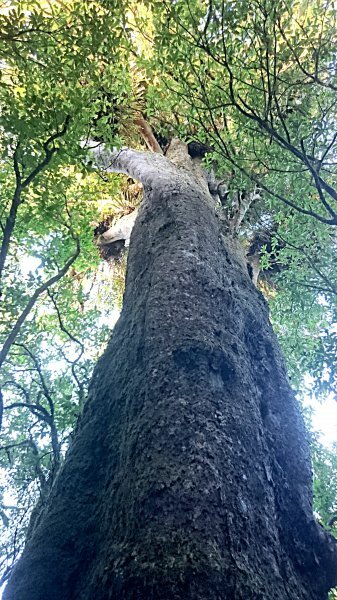 Taken at 1.5 m to avoid a large burl, but the girth is influenced by a number of smaller burls at that height. 22 Jul 2015 Smillie, M.J.
Closer to the track entrance when heading anti-clockwise, around 10 minutes walk in.